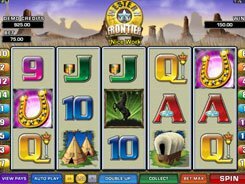 Online Slots Slots Games Directory Microgaming Get Rocked! The Get Rocked! 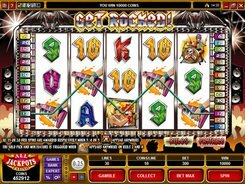 slot machine is all about hard rock, with its symbols, user interface and the background image making a perfect fit with the rock ‘n’ roll theme. 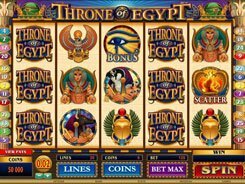 The slot is played over 5 reels and 30 paylines, and its symbols include standard playing cards from 9 to A and rock musicians playing the guitar, singing and yelling at a performance. 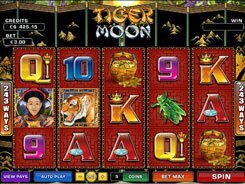 The slot has two adjustable betting options: a coin value ($0.01–$0.25), and the number of coins per spin (1–10), so the top bet may amount to 300 coins, or $75. The highest-paying symbol is a wild represented by the Singer, with five wilds producing a 5000-coin win. 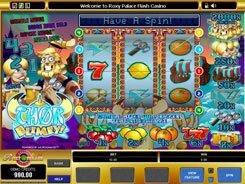 Besides, Singer symbols landed on reels 2 and 4 at a time activate the Solo Pick and Win bonus where you have to choose from five band members. A musician of your choice performs a solo and then pays out a cash award. Get Rocked! 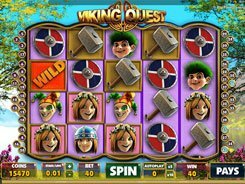 has a scatter that activates up to 20 retriggerable free spins with all wins trebled. In conclusion, you may double or quadruple your wins in an optional gamble feature having a classical “pick a card color/suit” model. PLAY FOR REAL MONEY! slots similar to Get Rocked!